PureLife Gabatrol Stress & Mood Review - Does It Work? 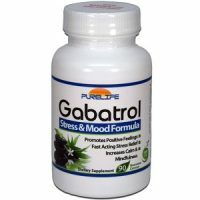 The following review is for a product called Gabatrol Stress & Mood, manufactured by PureLife. This product is claimed to reduce stress and negative emotions, making you feel like you are the one in control. 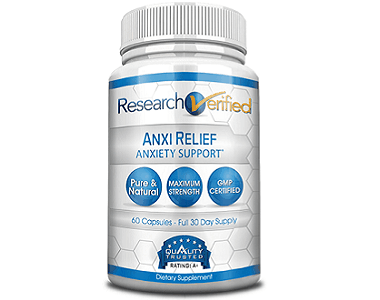 The ingredients found in this product are combined to work on a variety of neurotransmitters, which will in turn help boost your mood and also calm the mind. Once you feel like you are in control, your energy and motivation for life will also improve. 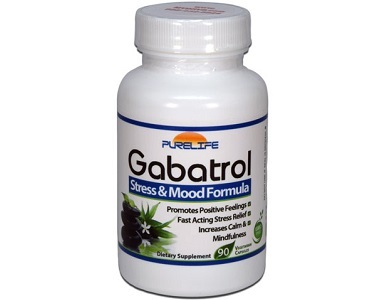 Read on to see what PureLife Gabatrol Stress & Mood can do for you as a dietary supplement for anxiety. What’s in Gabatrol Stress & Mood? Phenyl-GABA – This raises GABA levels in the brain and produces a calming effect on the body and mind. L-Theanine – An amino-acid that promotes relaxation and increased GABA levels. Kanna (Sceletium Tortuosum) – A herb that boosts serotonin and dopamine levels. Taurine – An amino-acid that activates GABA. Tyrosine – Boosts mood, relieves depression, and increases alertness. Glycine – Provides a calming effect and can help with sleep. This product contains a lot of ingredients that just target the GABA levels. It does not seem to be a product that is balanced, and this could cause an overdose, which is dangerous for your health. The product also lacks a balance of Valerian root, 5-HTP, Magnesium, Passion flower, Chamomile, and Bacopa. How Do You Use Gabatrol Stress & Mood? After thorough research we were unable to find the dosage required for Gabatrol Stress & Mood. A serving size is 2 capsules, although we do not know how many times this must be taken per day. It is very weak of the manufacturer to not provide a potential customer with clear instructions on when and how to take the capsules. Not knowing this information could lead to the customer using the product incorrectly and failing to see results. It can be purchased online from the manufacturer’s website. A bottle of 20 veggie capsules will cost $19.47, 45 capsules $37.47, and 90 capsules will be $57.97. The manufacturer does not offer any discounts. It was somewhat concerning that we could not find any information on a money-back guarantee. First time customers would prefer returning a product that does not deliver results for a full refund. Lack of a return policy may indicate that the product is ineffective and may in turn hinder potential customers from making a purchase. There are a few things we like about PureLife Gabatrol Stress & Mood. It can be purchased online from the manufacturer’s website and it can be purchased in various quantities. There are however a few things we do not like about the product. First of all, most of the ingredients is targeted at boosting the GABA levels. This could lead to an overdose and be very dangerous for your health. Furthermore, the product lacks the presence of many essential ingredients which is important to have for the product to be effective. A combined balance of ingredients may work better than filling the product with ingredients that all target one specific aspect of the brain. Another concern is that the manufacturer lacks to provide the customer with clear instructions on how to use the product. Finally, the manufacturer does not offer a money-back guarantee. Due to these reasons, we recommend that a customer search for an alternative anxiety supplement, other than PureLife Gabatrol Stress & Mood.